It’s been our mission most evenings to head out for a walk (despite the heat). We are so lucky to be living on The Pearl and have the marina on our doorstep. What’s challenging is trying to resist the many dessert shops dotted around! 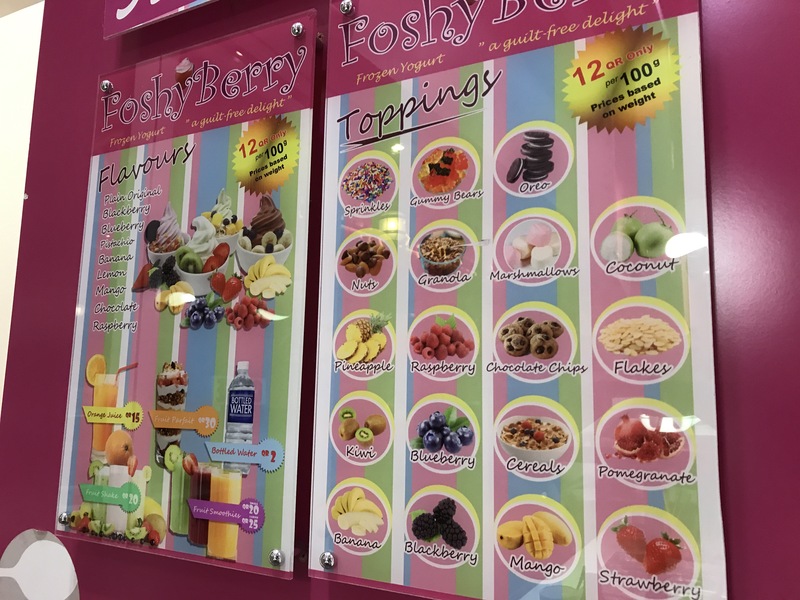 We did give in last night and went to a random frozen yoghurt place called Foshy Berry. 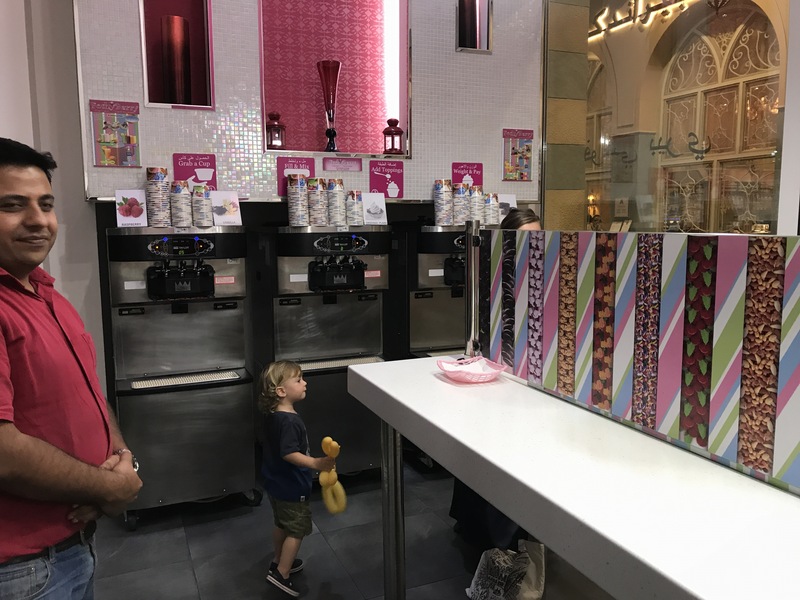 It is by no means a fancy set up and certainly not like some of the other more upmarket places (Menchies is on our list of places to try!) but it satisfied our sweet craving! 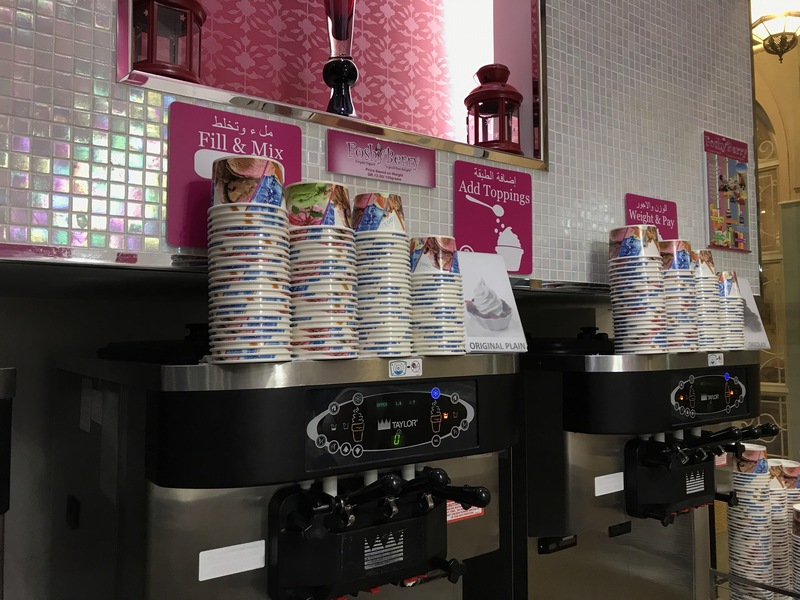 You select yoghurt or ice cream and cover it with whatever you like. Fruit, chocolate, sauce, biscuit etc. For 12QR per 100g you can not go wrong! 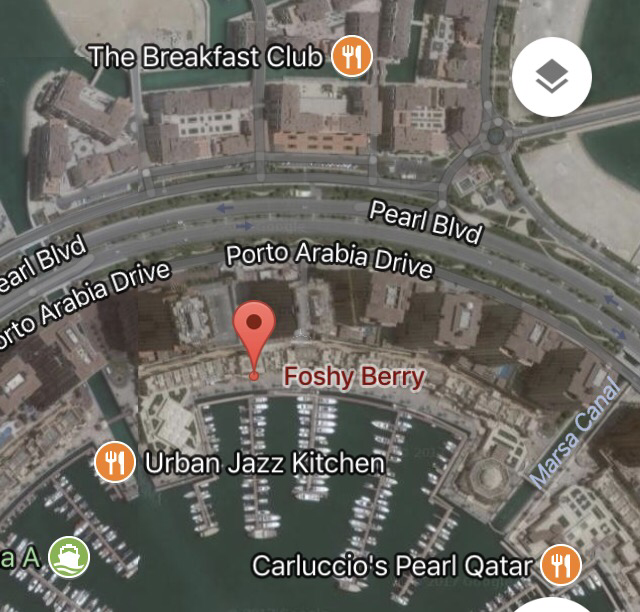 It is located next to Tower 12 in Porto Arabia. Give it a try, it’s not bad at all!